Depending on the type and size of the Granny Flat, Transportable Home or Portable Building you require, only some will require Council Approval. Some Local Council Planning Departments tend to be misinformed about the correct application and compliance requirements needed for Portable Granny Flats and Manufactured Buildings. We often get asked if our Granny Flats, Transportable Homes and Portable Buildings require any Council Approval and what is required. All Portable Buildings, Portable Granny Flats and Transportable Homes are ‘manufactured buildings’ that are built in our factory and only require a Development Application (DA) and a Section 68 (S68) Activity Approval from your Local Council, when they are over a certain size. Building regulations for a Portable Granny Flat, Manufactured Home or Portable Building still come under BCA (Building Code of Australia) building standards, the same standards as conventionally constructed ‘bricks and mortar’ buildings. However, unlike conventionally constructed ‘bricks and mortar’ buildings that require costly Basix (BC) or Construction Certificates (CC) plus a Development Application (DA). Manufactured, Moveable Buildings do not require any of these costly certificates. Generally, any Manufactured, Moveable Building which includes plumbing, electrical and over 20sqm in size, will require a Development Application (DA) and Section 68 (S.68) Activity Approval from the Local Council. Install a manufactured home or moveable dwelling - Local Government Act 1993. Install a manufactured home or moveable dwelling - Environmental Planning and Assessment (EP&A) Act 1979. Install a manufactured home, movable dwelling or associated structure on land - Local Government (General) Regulation 2005. When looking at purchasing a Granny Flat, Transportable Manufactured Home or Portable Building, you need to be aware of all the Local Council requirements in order to get your Portable Building approved for installation. Advise Council of Manufactured, Portable Building – When making an application to your Local Council, ensure to advise them you are installing a Manufactured, Portable Building for use as a Granny Flat or other purpose required. Be clear to state that it is being manufactured offsite at a factory, then delivered and installed at your site location once complete. Minimum Wall Height – As part of the BCA, all structures including Portable / Manufactured Buildings must have an internal wall height of 2.4 meters. Most of the transportable homes you can buy have cathedral (or raked) ceilings. This means the ceiling is angled and follows the line of the pitched roof. The lowest point must be at the correct ceiling height. Structural Engineering – Under the BCA, all metal structures erected in Australia must have a Structural Design, Compliance Certificate from a Certified Engineer, to certify that the structure complies with the BCA and all relevant Australian Standards. Development Application (DA) – If your Portable Building has plumbing, electrical and is over 20sqm with site requirements for any Granny Flat or Manufactured Transportable Home, you will be required to submit a Development Application (DA) to your Local Council. You do not need to complete a Basix (BC) or Construction (CC) Certificates. Section 68 (S.68) Activity Approval – Granny Flats and Portable Buildings are ‘manufactured buildings’, which are manufactured offsite, at our factory. Therefore, they fall under ‘Section 68 (S.68) of the Local Government Act, ‘installation of a manufactured home, movable dwelling or associated structure on land’. All you require is a Development Application (DA) and a Section 68 (S.68) Activity Approval from Local Council to proceed. Council Application Process – The application process varies between different Local Councils. 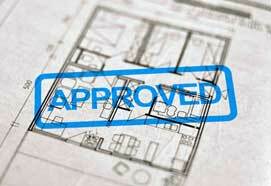 Some require you to submit your Development Application (DA), Design Certificate and Engineering Drawings first. Then once approved, they require you to complete a Section 68 (S.68) application. Other Local Councils will allow you to apply for a Development Application (DA) and Section 68 (S.68) Activity Approval together, at the same time. Contact Your Local Council – You can contact your Local Council to see what their requirements are and what’s involved in applying for a Development Application (DA) and Section 68 (S.68) Activity Approval to install a ‘manufactured’ Granny Flat, Portable Building or Transportable Home on your property. It’s highly recommended you understand the requirements for your particular Local Council prior to submitting your application. Our friendly team can assist you in determining whether or not your Granny Flat, Transportable Manufactured Home or Portable Building will require Council Approval. As part of our service, we can firstly assist you to successfully submit the correct information in your in your Development Application (DA) and Section 68 (S.68) Activity Approval application to Local Council. Secondly give you, ongoing guidance on regulations and what to do at each stage throughout the whole application process, to get your Development Application (DA) and Section 68 (S.68) Activity Approval submitted and approved.